THE BLACK BOOK - YOUR TRUSTED LOCAL RESOURCE! Hagadone Directories has been the consumer's best source of local business information since 1987. Serving 9 markets in the states of Idaho, Washington, Oregon, California, and Montana, we offer businesses an effective way of advertising and consumers the most-complete and accurate way to find what they need. Whether it is in print or digital format, the most convenient way to find local, relevant business information is with Hagadone Directories. 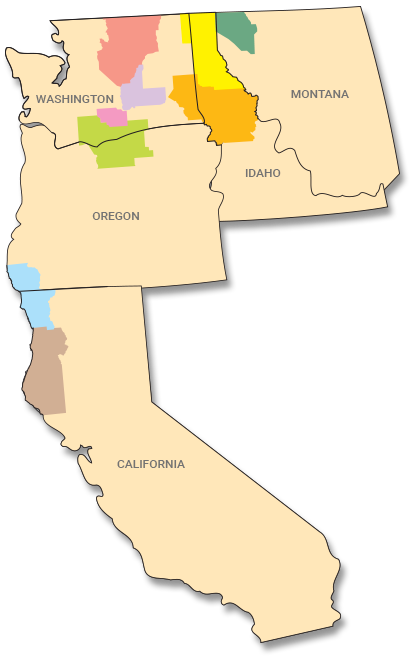 Serving 9 regional markets in the Inland Northwest and West Coast since 1987.